Are you facing foreclosure? Are you hiding from the IRS or the Oregon Department of Revenue? Have you failed to file your tax returns? Are you drowning in an ocean of past-due bills? 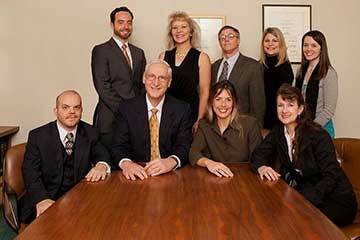 Eugene Bankruptcy Lawyer and Tax Attorney Kent Anderson can help. We have been helping people to get back on their feet financially for more than 35 years. Often, we can work out an affordable payment agreement with taxing authorities. Our office has handled many successful IRS settlements and we often resolve tax obligations with Oregon Department of Revenue. Mortgage Foreclosure law is changing weekly, we’re here to help. Whether you need help to decide if you should file a Chapter 7 or Chapter 13 bankruptcy or just want to understand your options, Kent Anderson Law Office has the expertise to help you get started. Kent Anderson is certified as a Consumer Bankruptcy Specialist by the American Board of Certification. Call 541 683-5100 in Eugene, Oregon today or complete our submission form and we will contact you about an appointment. We have been helping people to get back on their feet financially for more than 35 years. Often, we can work out an affordable payment agreement with taxing authorities. Our office has handled many successful IRS offer in compromise applications and we often resolve tax obligations with Oregon State agencies including the Department of Revenue.